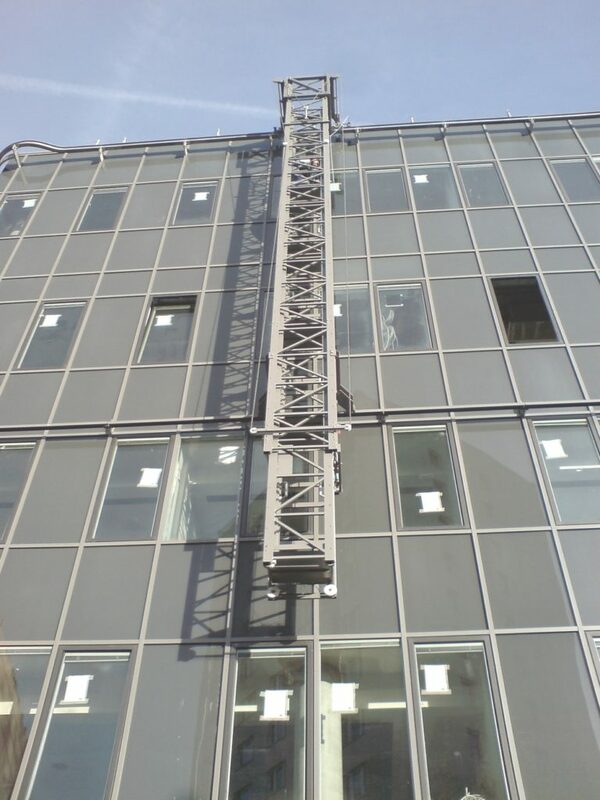 Mast Climbers are a suitable solution where a conventional Building Maintenance Unit cannot provide the building with optimal access performance. For both ladder (horizontal) and cradle (vertical) systems, all movements can be electrically driven in order to provide versatile working positions. Mast Cradles are particularly suitable for work heights of up to 12m and buildings with a flat facade and no large protrusions such as balconies. The attractive design of Manntech’s Mast Climbers guarantees unobtrusive aesthetic integration with the overall architecture. Mast Climbers can also be combined with other machines to access particularly challenging parts of the building as part of a comprehensive access solution.